From time to time, I come across random interesting finds at Daiso, and recently I found something very useful for earring wearers- safety catches! The one I got is in the shape of little hearts, but I also spotted other variants such as stars or just plain round safety catches. 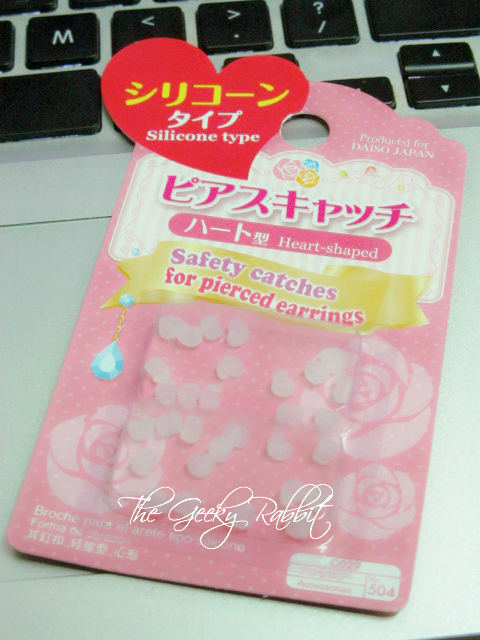 These heart-shaped silicon 'catchers' would help to prevent earrings from slipping off the ears. 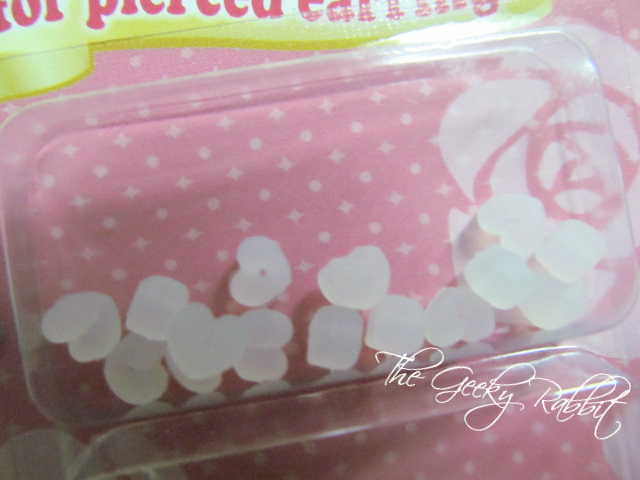 It may not be too useful for stud earrings- you can see that the silicon is rather thick. However, this is awesome for earrings with french hook. This could prevent earrings from falling off the earlobes by accident. There's quite a lot in each pack and since they can be reused, I believe it can last for quite a long while. The hole in the heart is quite tiny too. Not sure if the hole will expand with prolonged usage, but if so, it's better to change one to prevent the earrings from falling off! Ladurée Singapore's Keyring back in stock!